WHO HOLDS THE KEY TO YOUR HEART? 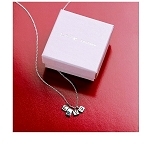 Let her know with this beautiful necklace made of solid sterling silver designed by the acclaimed artist Judy Vilmain. A key and heart dangle from an 18" chain to show the world she holds your heart and the key. 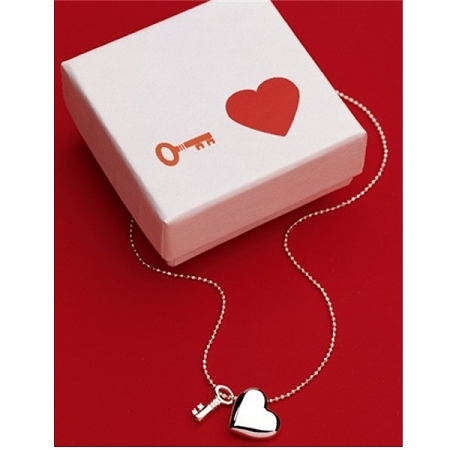 The Key To My Heart Necklace comes in a gift box wrapped with a beautiful ribbon and includes the matching greeting card and prose along with your personal sentiment. 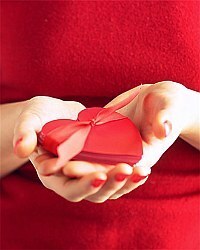 Together or apart you're never far from me Forever in my heart is where your love will be.